Many wine makers that do not use synthetic chemicals in the vineyard and in the wine making have made wine in much the same way for generations. The highly revered Pinot Noir wines from Domaine de la Romanee-Conti are a great example. Why are all wines not made in this way? Because making wine this way is difficult, and, if you use poor quality grapes and you are in a hurry, it is impossible to make any wine at all without alien chemicals. But now the tide is turning. More and more wine makers produce top quality wines without synthetic chemicals. Hopefully we will one day see an end to the era of "chemical wines" that pose a danger to our health and the environment. 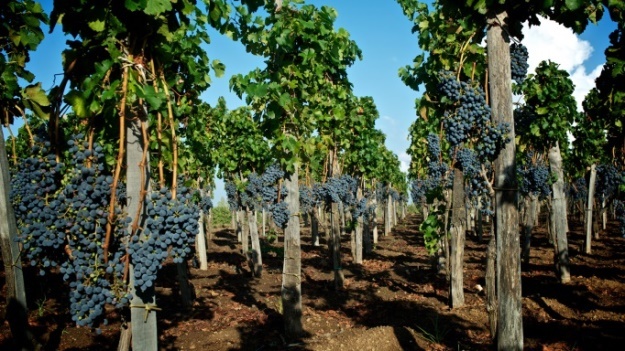 Sulphite (SO2, E 220) has been used in viniculture as a pesticide since Roman times. It is as an antioxidant and disinfectant. So what is the problem? The problem is that sulphites are now widely used in wine making for commercial reasons and some people are sensitive to sulphites. Sulphite hyper-sensitivity typically causes skin reactions, but respiratory symptoms; asthma and even severe allergic reactions may also occur. Most makers of non-chemical wines strive to add very little or no sulphites to their wines by using minimal intervention in their wine making techniques. These wines therefore typically contain very low amounts of sulphites. In the EU conventional dry red wines are allowed to contain 150 mg sulphite/L and conventional dry white wines 200 mg/L. All of our wines contain less than 100 mg/L. Many call these wonderful, non-chemical wines “natural”. Salvo Foti, one of our wine makers, takes this a step further: These are wines made by humans, for humans!